The tenth novel in The Shadow Wars. The end has come. With one of their own dead and another turned traitor, who took one of the all-important artifacts over to Rogue Ops, the lingering remnants of Dark Operations must prepare themselves for the final confrontation. The secret of the artifacts has been revealed, the true, insane nature of Rogue Operations' plans has finally been brought to light. If they are allowed to succeed, it will mean galactic apocalypse, the total annihilation of all mankind. 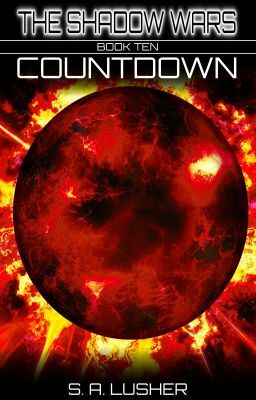 Drake Winters, Greg Bishop, and Allan Gray, along with a handful of other expert killers and seasoned veterans, must now embark on a race against time across the breadth of the galaxy, facing down unspeakable horrors from beyond the stars and ancient alien facilities that have not seen the light of day in thousands of years. The end is here. The countdown has begun. Do they have what it takes to save us all?